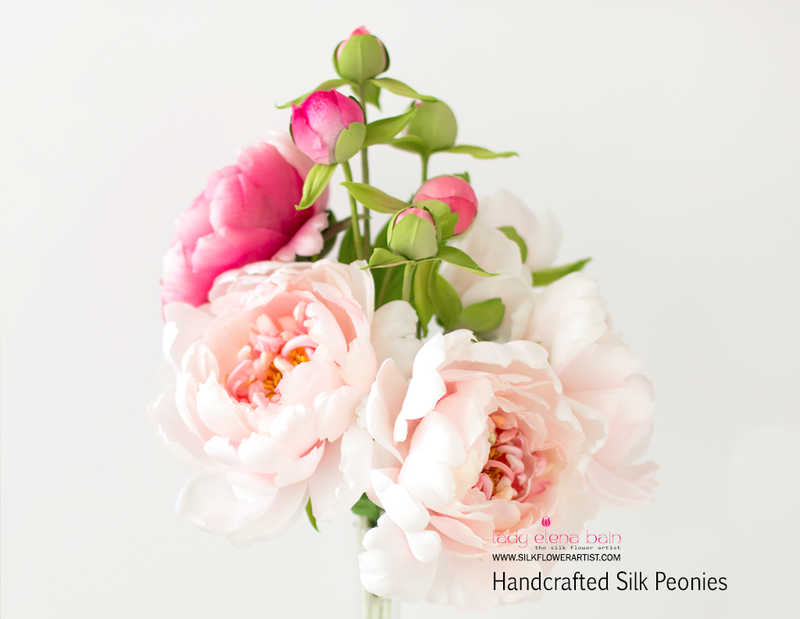 "How to make Silk Peony Bud"
Do you like peonies? Would you like to make your own SILK PEONY? ​If this is something you've always wanted to learn how to do, you won't be disappointed. - HOW to hand dye every petal, leaf, calyx and additional parts of the flower. - I will show you my magic tricks to make an ordinary silk flower in a stunning piece of Art. - In addition you will receive a detailed PDF file with written instructions and the pattern of the "SILK PEONY BUD". “This video course, in my opinion, is a completely new direction in learning the silk flower Art today. 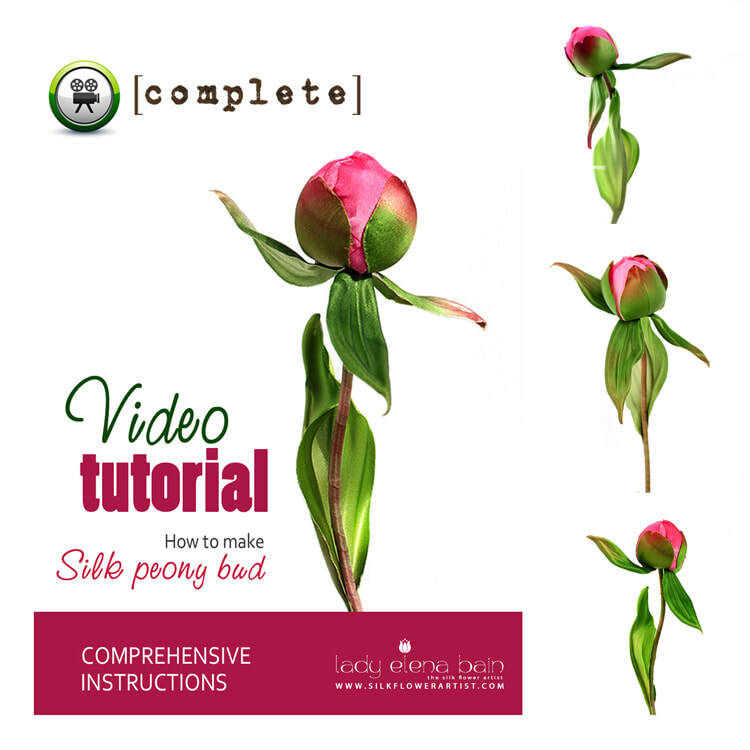 The Peony Bud video course contains over 60 minutes video instructions , to be downloaded to your computer. In addition, you will receive a pdf text file with suggestions for choosing fabric, instructions on preparing the fabric, photos, and patterns. Begin the creative process now! ​We look forward to providing you with excellent video tutorials and assisting you in keeping your flowers always in bloom ! download it and start reading it within minutes – in the comfort of your home! video tutorial “Silk peony bud"
After your payment is received, Paypal will redirect you to the page with VIDEO tutorial - if not - we will resend the link with your files manually. ​Follow instructions to download the VIDEO tutorial you have purchased. Copyright © 2012- 2018 Lady Elena Bain ~ The Silk Flower Artist. All rights reserved. This video tutorial is for personal use only. The reproduction, distribution, or copying of any part of this document in whole, or in part, or in any form, and without written permission, is strictly prohibited and will be prosecuted.